LATEST NEWS 3rd January 2012: Russell Grant to play Snake. On 29th January next year Kerry Ellis, Gareth Gates , Hannah Waddingham and Oliver Thornton will perform at a charity concert of Children of Eden at the Prince of Wales Theatre in London. The concert will be hosted by Stephen Schwartz. The cast list is as follows: Oliver Thornton (Adam), Anton Stephans (Father), Emma Barton (Eve), Gareth Gates (Cain), Brenda Edwards (Mamma Noah), Lauren Samuels (Yonah), Waylon Jacobs (Japheth) and John Wilding (Ham). Matt Brinkler, Chloe Hart, Joanna Kirkland, Craig Rhys-Barlow and Gemma –Sandzer are Storytellers.The parts of Abe and Noah are still to be announced. The concert will be closed by special guest Kerry Ellis. 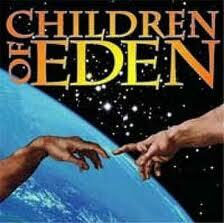 I saw Children of Eden during its short run at the Prince Edward Theatre in 1991 when it starred Ruthie Henshall and can't remember much about its score at all. The music and lyrics are by Stephen Schwartz and the book is by John Caird. 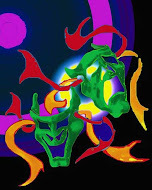 It is based on the Book of Genesis with Act I telling the story of Adam and Eve, Cain, and Abel and Act II dealing with Noah and the Flood.